Size Small. 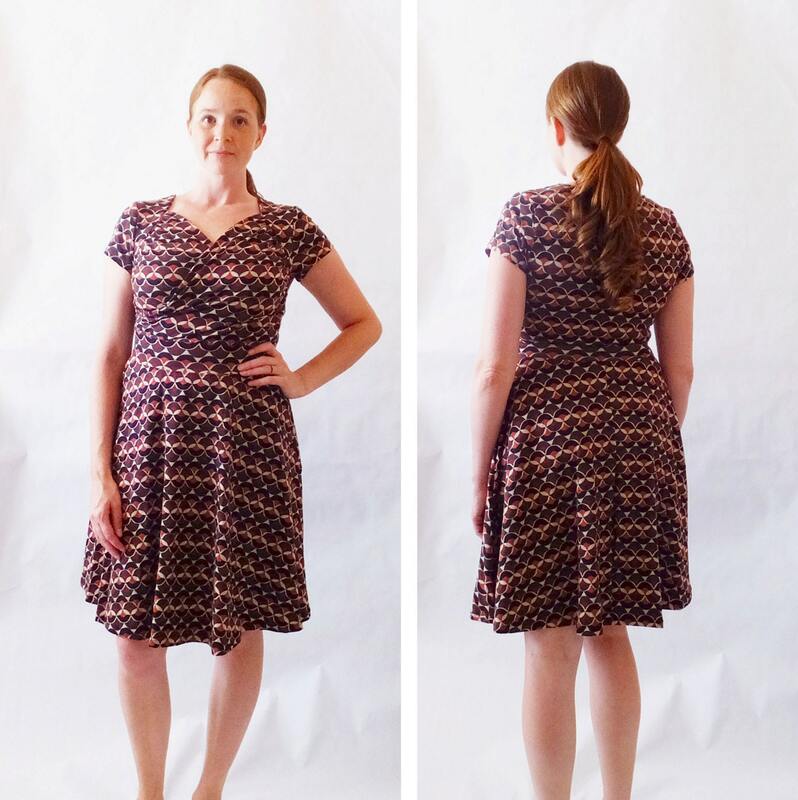 Women's cotton scallop print jersey dress with a sweetheart crossover front and a full A-line swing skirt. 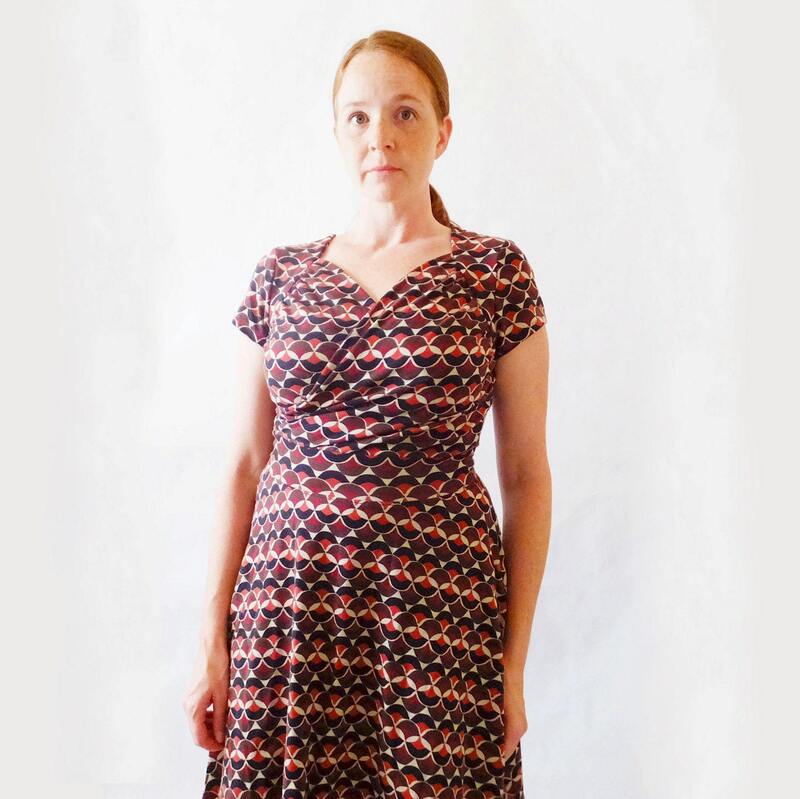 This knee length dress has short sleeves, with a gathered crossover bodice, shoulder details, and a waistband at the natural waist with a full aline swing skirt. 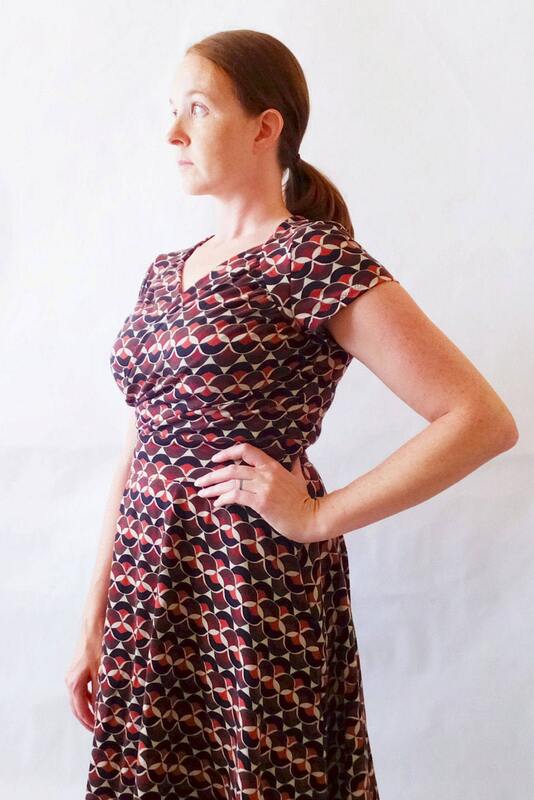 Made of a stretchy cotton spandex fabric in a autumn inspired palette brown, brick, black, rust, and beige in a scallop print. It's the kind of dress that can look very fancy for a special occasion, or casual enough to wear chasing the kids. Works excellent for nursing moms too! You will receive the dress pictured.